Apparently mince pies are just mincemeat in a pie. 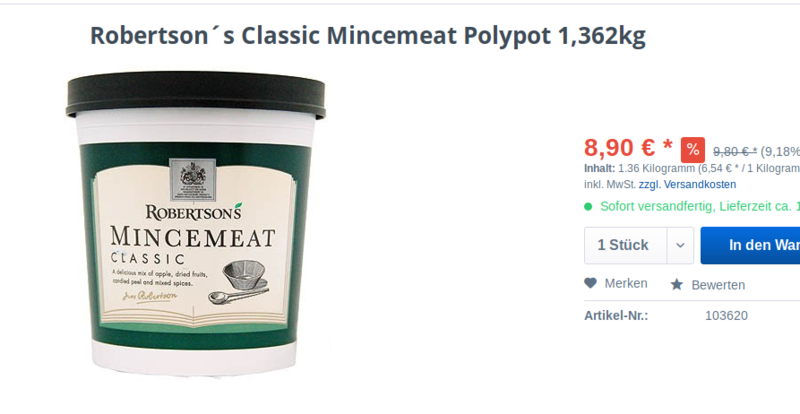 And you can just buy mincemeat. So that&apos;s easy. @ebel that is a lot of mincemeat! Mince pies are so good though and it's sad that most countries outside the UK don't have them! @wolfie yes! We have them in Ireland too. They&apos;re tasty and so Christmasy. I live in Germany, and they do lots of Christmas baking, so I want to show off them.